There is a Visually Challenged Home called “MAHIMAI VIZHIGAL MAATRUTHIRANALIGAL ILLAM” near Bykara, Madurai. All the members of that Home are students, varying from 5th Std to college level, all are visually and verbally challenged. The Home is in need of educational assistance. The students of that Home felt difficulty in reading their lessons and they need support. They requested Pendrive box (Audio device ) and Pendrive in which they can copy their lessons and they’ll listen and study. So they need us to sponsor them the Kit. This will really help them to learn and it boosts their interest towards learning. If anyone interested of sponsoring either partially or fully, please contact us. India Sudar purchased one mark test series ( 5 subjects) for SSLC students of Govt Hr.Sec School,Renganathampettai,Karur Dt,TN from KSP publications,Palayamkottai to improve their academic performance. Thanks to the donor Sadeesh Kumar M N (1012) for his interest and contribution. Thanks to Mr.Murugesan and Ramkumar for coordination. We have deployed 2 teachers to execute Science Experimental Based Learning and Awareness (SEBLA) project in Thirupur Dt,TN. Teachers visit each school and demonstrate the basic principles of science with the help of 100 experiments and guide the students to create few more experiments for each principle. This helps them to understand better and makes the science as an interesting subject . Please find the attached excel sheets for more details. And also we give thanks to work coordinators of these projects Chandrasekar.M (1006) and Pagutharivalan.P (1260) for their valuable time. Turn off the light when outside it’s bright. You Have the Power to Conserve. udar provided financial assistance to 5 students and one teacher for meeting food and accommodation @ Chennai,TN to assist them to participate in the prize distribution event. Congrats to Teachers and students who behind this project. We would like to share the half yearly report of Science Experimental Based Learning and Awareness (SEBLA) project. Please go through the attached file to know about in detail. 2. 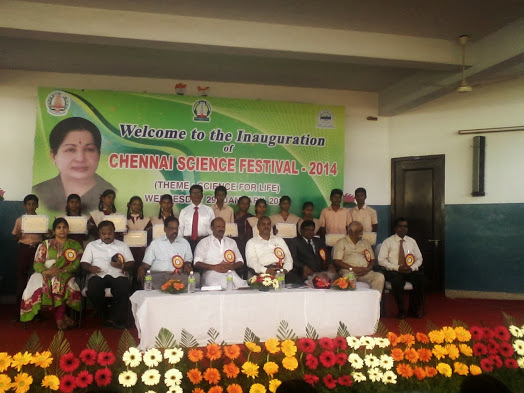 Reached 4133 students studying in 62 schools of Karur and Thirupur Dt. 3. In Average, Completed 75.87% of the experiments out of 97 experiments. 5. Encouraged students to make their own experimental models for basics of science and started assessing. We have received Rs. 1,90,000 on 5th December 2013 towards the expenditure for SEBLA project form Asha For education. We thank them for the continuous support. India Sudar provided financial assistance to buy prizes for republic day celebrations. Students who participated in various competitions and toppers and slow learners of each class were provided the prizes to motivate them. We thank our member Mr.Rajamadasamy who attended the function and conducted a session on “CAREER GUIDANCE“”. We thank the donors Sriram Srinivasan (1068) , Sadeesh Kumar M N (1012) for their contribution.